Cooper’s Pack Publishing gladly supplies qualified wholesalers and independent book stores with discount purchasing. We want to help you sell books! • Wholesale discount is 40% of retail cover price. • Minimum 5 book purchase. • Visa deposit required for first time buyers. 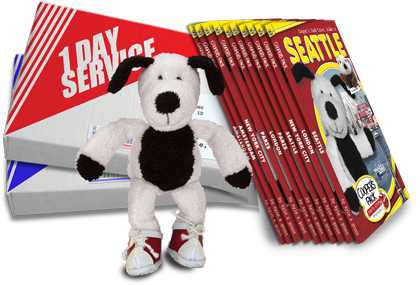 • All Cooper’s Pack book products utilize expanded ISBN and price barcoding. • Returns accepted in saleable condition within 60 days. • Contact us via email for returns or use our Exchange & Returns Form. • UPS and USPS shipping available.